First, the good news of Good Friday, at least in terms of Asian American firsts. In a small town in California, the first Hmong American judge in the nation will be sworn in. Paul Lo will take the bench as a Superior Court judge in Merced County in California’s Central Valley, where more than a third of the nearly 300,000 Hmong Americans live. Appointed by Gov. Jerry Brown, Lo, 45, a UC Davis and UCLA Law School grad, was admitted to the State Bar of California in 1994, and a solo practitioner since 2003. As a firster myself, (the first Asian American to host NPR’s “All Things Considered,” see page 35 of the Encyclopedia of American Journalism), I appreciate the firsts of our community, big or small. It’s also a nice coincidence that Lo’s swearing in comes on the week we celebrate Jackie Robinson Day, in honor of the man who broke baseball’s color lines 67 years ago. It’s the reason everyone in all of baseball on Wednesday wore No. 42, Robinson’s actual number for the Brooklyn Dodgers. Even the San Francisco Giants No. 55, Tim Lincecum, an Asian American of Filipino descent and the first player ever to win a Cy Young Award for best pitcher in his first two full seasons. 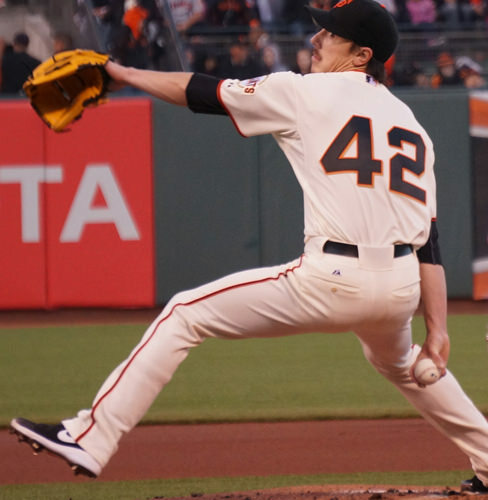 In honor of Robinson in San Francisco, Lincecum wore No. 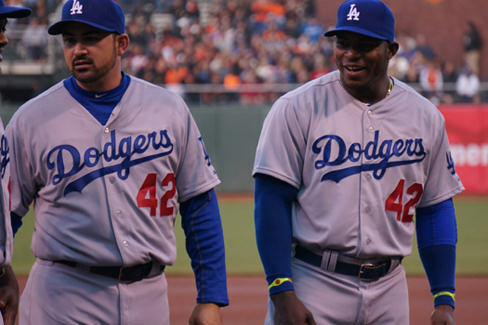 42, as did Dodger Hispanic stars Adrian Gonzalez and Yasiel Puig. Robinson’s entering into the starting lineup of America’s game actually pre-dated the Civil Rights Act, which was signed into law 50 years ago this July. 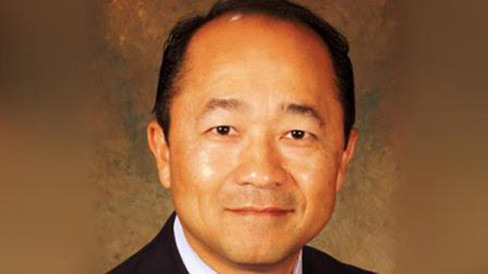 It’s part of the continuing story of diversity in America that color lines can still be broken in our society today with the swearing in of Paul Lo in Merced, California at 4 p.m. PDT. As I said, that’s the good news of Good Friday. But it’s still Good Friday, a solemn day, as always. For those of us who chronicle society’s identity politics, is there a year that has been more absurdly ironic? This is also the week in which an anti-Semitic former KKK leader was accused of a hate crime after fatally shooting three people at a Jewish community center near Kansas City. All Christian. Only in America does freedom truly exist to test our tolerance. And yet throughout the religious world, the misguided anti-Semitism in Kansas City isn’t really surprising when one considers the language of the Passion that will be read today. Too often the language used in the scourging and crucifixion of Christ has been used to justify anti-Semitism for over 2000 years. This year, the urgency of that message comes not just from a pulpit, but in the very tragic and real images of Kansas City. If that message of understanding and tolerance were heeded, it would certainly make for a much better Sunday. And in the event you’re a secular non-believer, as of course is your right, consider Paul Lo, first Hmong American Superior Court judge in the nation, representing another step toward a new and better world.